What a way to start the new year. The duo of Show Dem Camp comes bearing gift on the first day of the year. 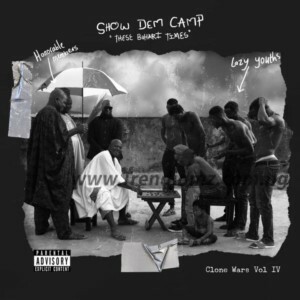 Following the release of “Palmwine Music 2” that was received with rave reviews, they come through with the fourth volume of their “Clone Wars” series and as usual it is littered with witty bars.